Norris and Henty represented L. Gardner and Sons engines and developed into a company in which Gardners were interested - Norris, Henty and Gardners. 1894 A Mr Norris and a Mr Henty were members of the shareholders committee of the Industrial and General Trust. 1894 Norris and Henty demonstrated Robinson's patent hot-air engine combined with pump at the Annual Show of the Royal Cornwall Polytechnic Society. 1900 Advert by Norris and Henty of 36 Upper Thames St, London, for Gardner petrol, oil and spirit engines for launches and motor cars. 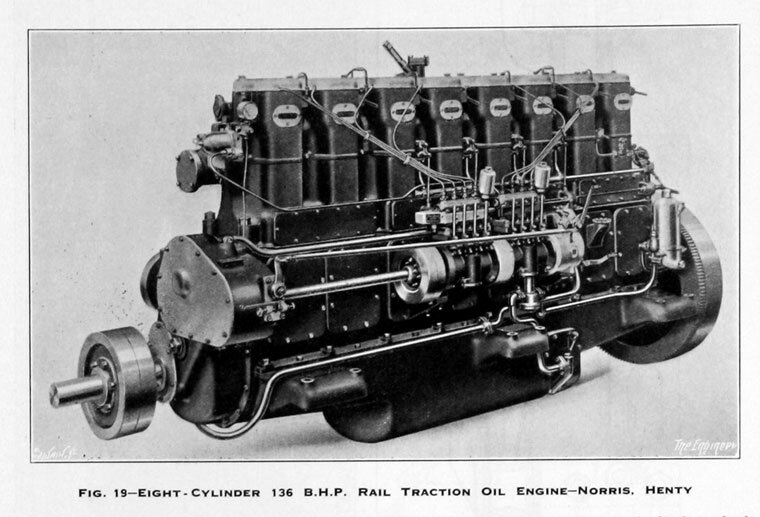 1903 Norris and Henty were appointed by L Gardner and Sons as sales agents for their diesel engines. 1906 A 65 horse-power Gardner paraffin engine was one of the exhibits in the Marine section of the 1906 Motor Show at Crystal Palace, shown by Messrs. Norris and Henty, 87 Queen Victoria-street, London. 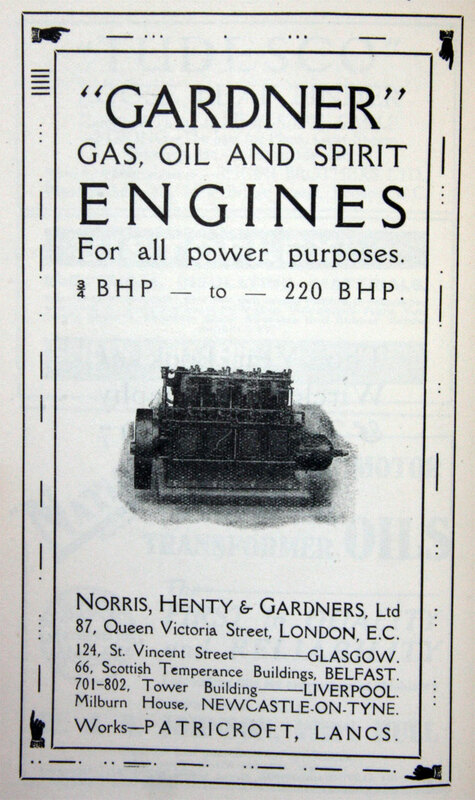 1909 Norris and Henty were an exhibitor of marine engines at the Aeronautical and motor boat engine exhibition at Olympia. 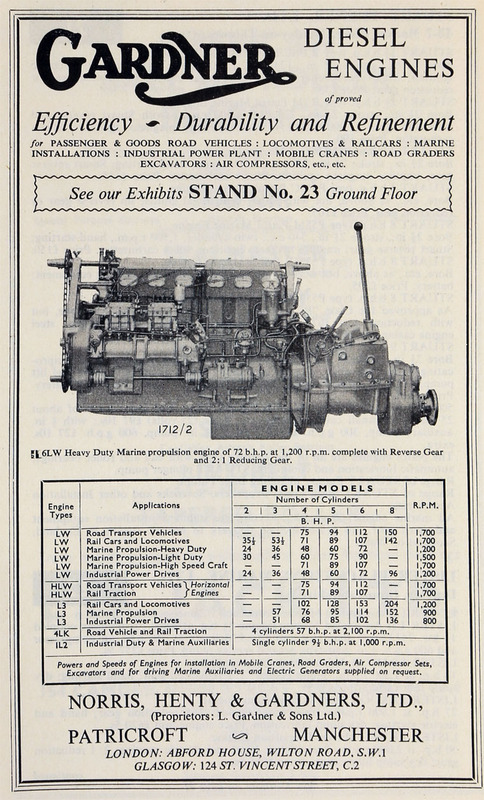 1910 Norris and Henty were an exhibitor of marine engines at the Aero exhibition at Olympia. 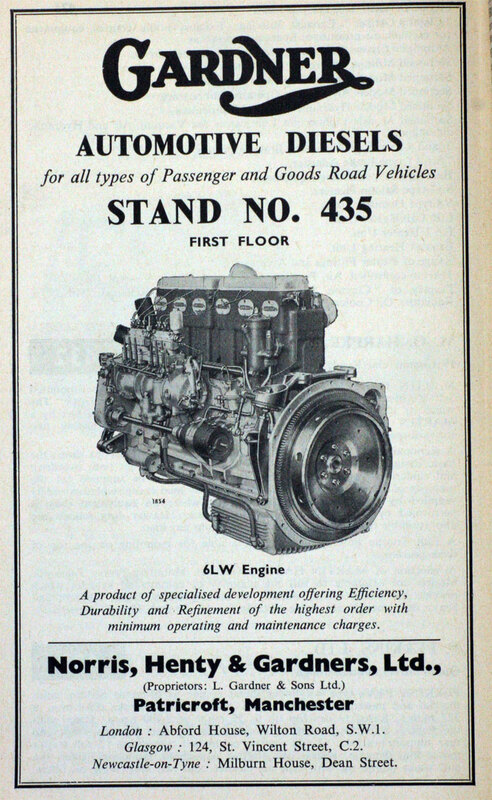 1912 New sales arrangement formed for Gardner engines: Norris, Henty and Gardners. 1913-1917 For a list of the models and prices of Marine Motors see Gardner entries in the 1917 Red Book where the agent responsible is Norris, Henty and Gardners. 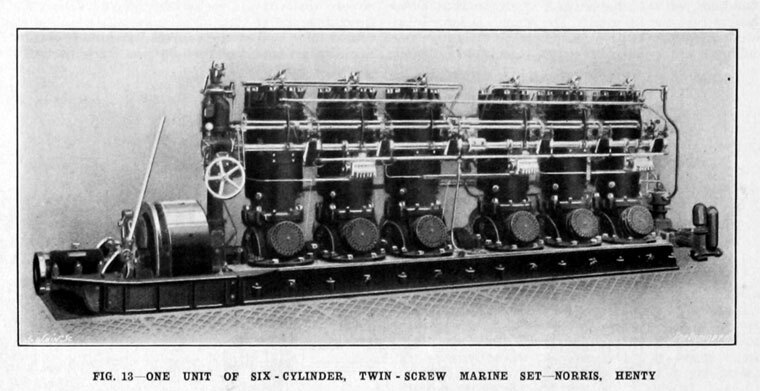 1929 Example of Norris, Henty and Gardner's engines installed in a motor yacht built by Thornycroft; 2 six cylinder 300 hp Norris, Henty and Gardner engines provided propulsion; electric lighting provided by a Gardner 3 cylinder engine . 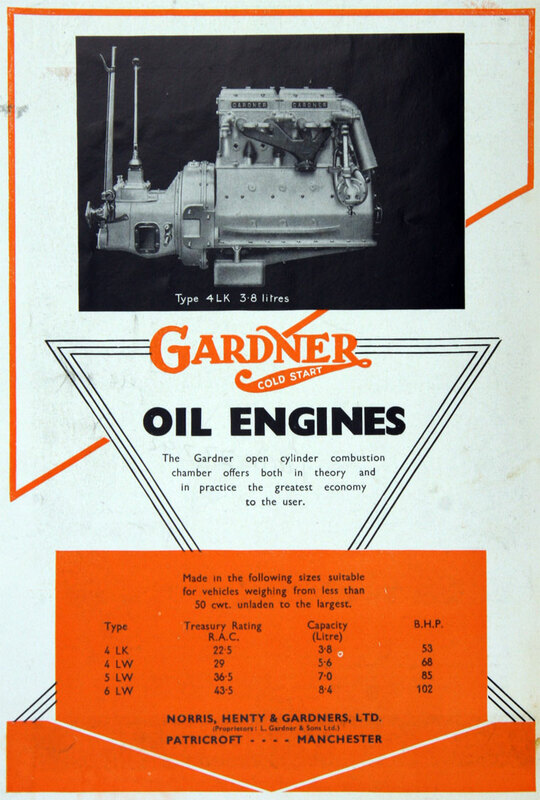 1931 Norris, Henty and Gardners were an exhibitor of marine engines at an exhibition of British engineering products in Buenos Aires. 1939 Death of Edward Hester Norris of Norris, Henty and Gardners Ltd and L. Gardner and Sons Ltd at the age of 79. 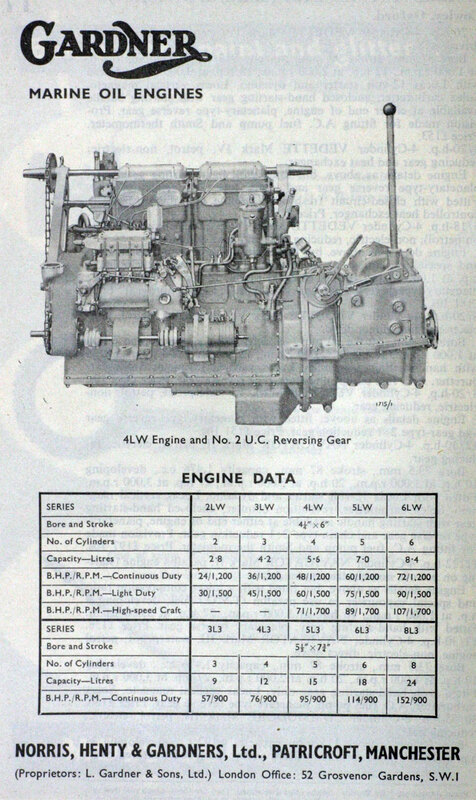 1962 Name changed to Gardner Engine (Sales) Ltd.